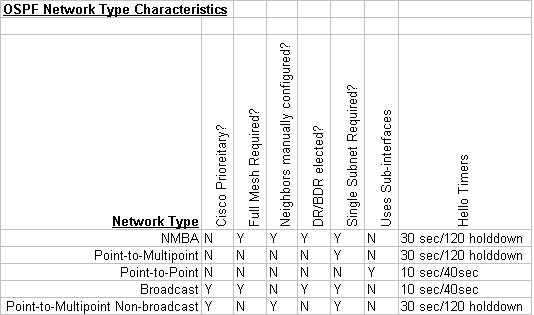 One of the things I have trouble with is remembering the different characteristic's of each of the OSPF network types. Below is a chart simply highlighting each point. 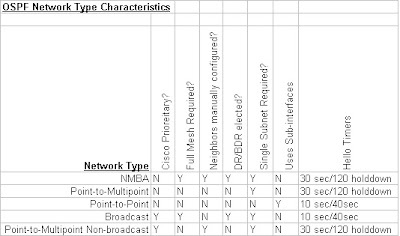 For configuring each network type please refer to my earlier posts.